The mining crisis has taken a new twist. And the uncertainty continues. 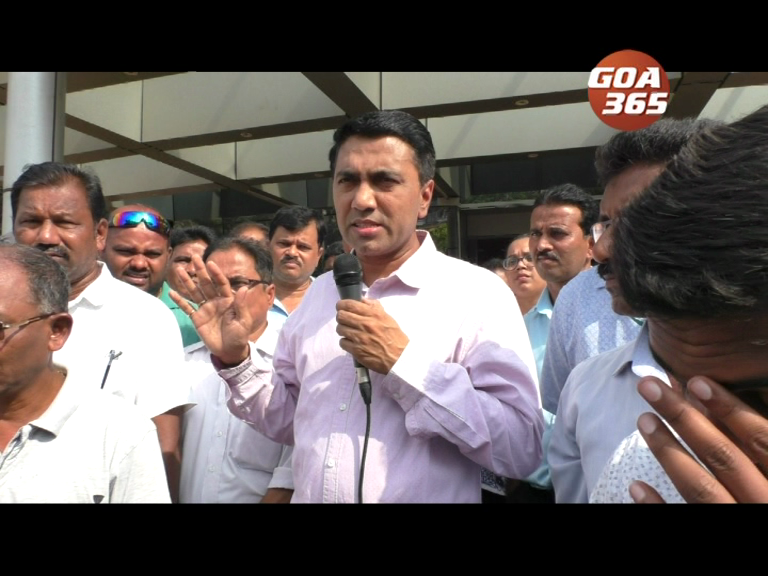 The Narendra Modi government has decided not to restart Goa’s mining unless Supreme Court decides the 20-year old case pending before its constitutional bench. Goa government has also supported this stand. And the Supreme Court has decided to take up the case for hearing. But mining dependents don’t want Goa’s Advocate General to represent it. Some other senior lawyer. Goa’s mine owners were granted permanent mining concessions by the Portuguese government. Government of India converted it into leases by bringing into force Abolition and Declaration of Mining Leases Act, 1987. And 50-years leases under MMDR Act back dated from 1957. These leases expired in 2007. Since Modi government refused to amend this date from 1957 to 1987, now Modi government has requested the Supreme Court to dispose the mine owners’ petition of 1989, which has challenged the act of abolishing Portuguese-time mining concessions. Power Minister Nilesh Cabral says nothing will start till this case is decided. 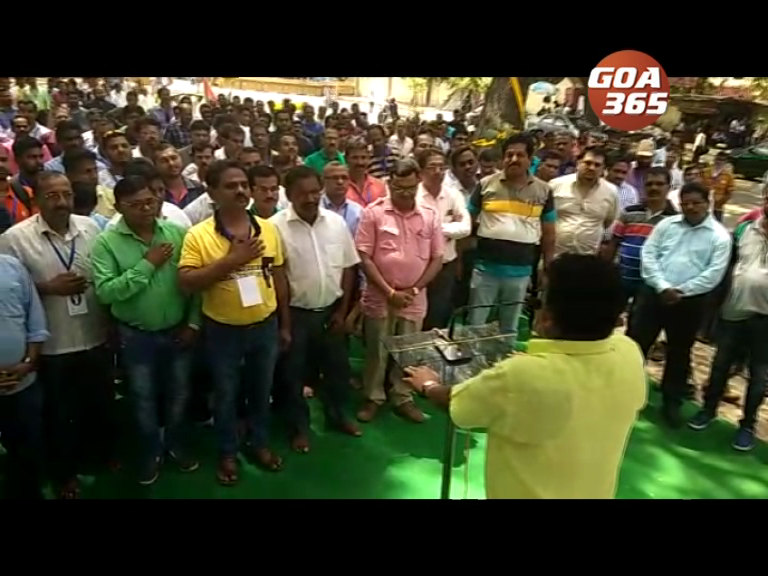 Precisely for this reason, the Goa Mining People’s Front took out a morcha in Panaji on Thursday. 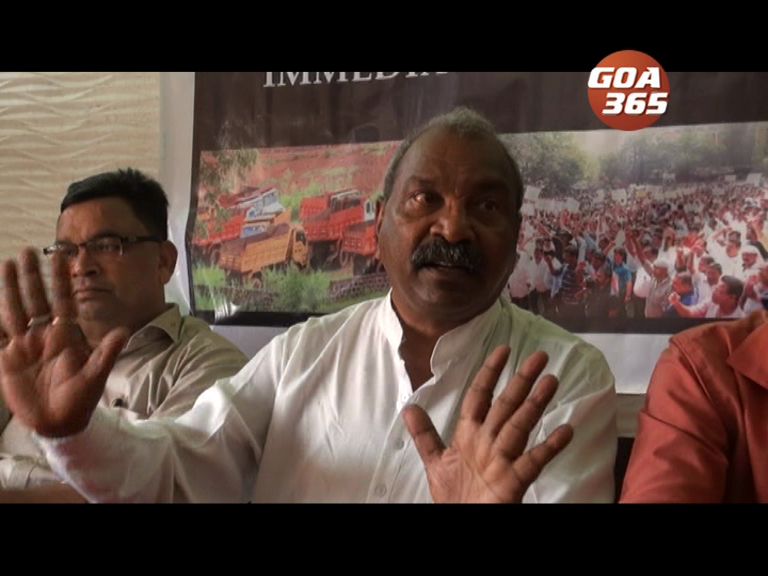 They demanded to replace the lawyer before the Supreme Court because Goa’s advocate general is for auctioning the mines. And GMPF wants the same old mining lease holders to continue. No auction. Led by Puti Gaonkar, the morcha from Campal to Azad Maidan made this demand.